Believed to be first female industrial designer in the US, she was born in Ilyashevka, Russia and emigrated to the US in 1906. In 1920 she began working in her father’s jewelry store while studying at Pratt Institute and the Art Students League. In 1929 she was employed by the Quaker Silver Co., which trained her as a silver designer at New York University, Rhode Island School of Design and at a Pforzheim, Germany Art School. She headed a department of twenty at Quaker in Attleboro, MA. 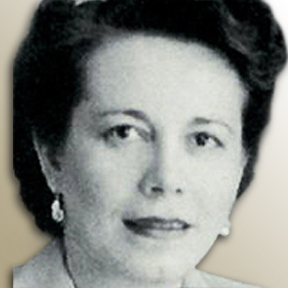 She opened her own New York office, Belle Kogan Associates, in 1932 and designed many housewares products. In 1944 she was secretary treasurer of IDI. She closed her New York office in 1970 and moved to Israel under contract with KV Design and set up a studio offering comprehensive design services. In 1972 she left the studio to work as a consultant.